Clouds of moisture billow around Mt. 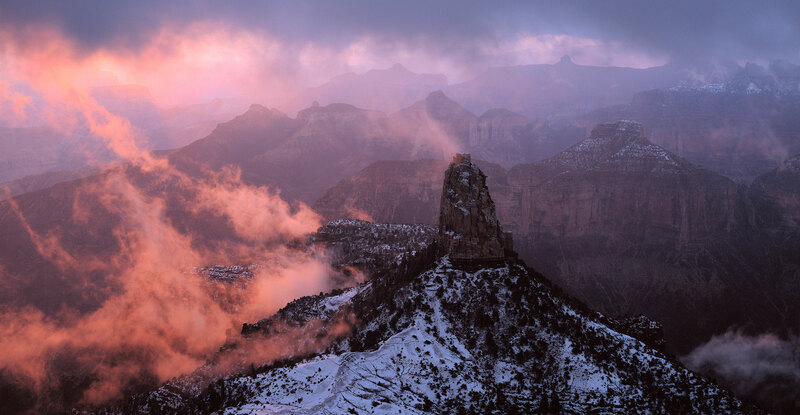 Hayden on the North Rim of Grand Canyon National Park, as the first red rays of sunrise pierce through an opening in the storm. This autumn storm brought a few inches of snow to the highest elevations of the North Rim.